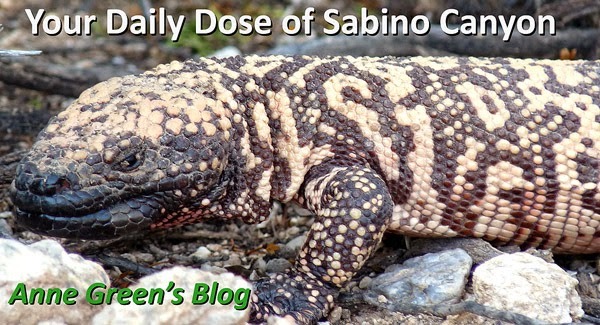 Your Daily Dose of Sabino Canyon: True Fly, don't bother me! I'm sure you are also saying: "Oh, happy day! Another bug." Not a true bug, but a true fly. "True flies are insects of the order Diptera (di = two, and ptera = wings). The presence of a single pair of wings distinguishes true flies from other insects with "fly" in their name." This true fly is in the family Tachinidae; that's as far as we'll take this taxonomically, as there are over 1300 species in North America. 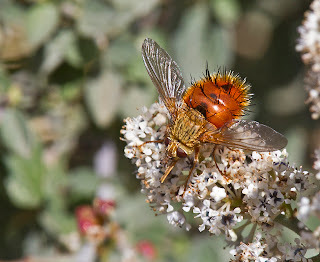 If you do know the species, though, let me know and I'll pass it on to the fervent fly fans. Until then, we'll call this a Tachinid Fly.